Tom took up the guitar at the age of 15 after being inspired by his Dad’s incredible finger style guitar playing and quickly developed a love for the instrument. Being addicted to players such as Steve Vai, John Petrucci and Brett Garsed, Tom initially focused on rock technique before developing a huge interest in Jazz and Fusion. At this point Tom changed to his renowned 4th’s tuning and studied Jazz, graduating with a Jazz Performance degree in 2002 from Leeds College of Music. Since graduating Tom has developed to become one of the foremost fusion legato players in the world with a strong reputation in both the teaching and playing world, having produced a large number of highly acclaimed tuition products for his own website and Lick Library that have helped literally thousands of guitar players from every corner of the planet. 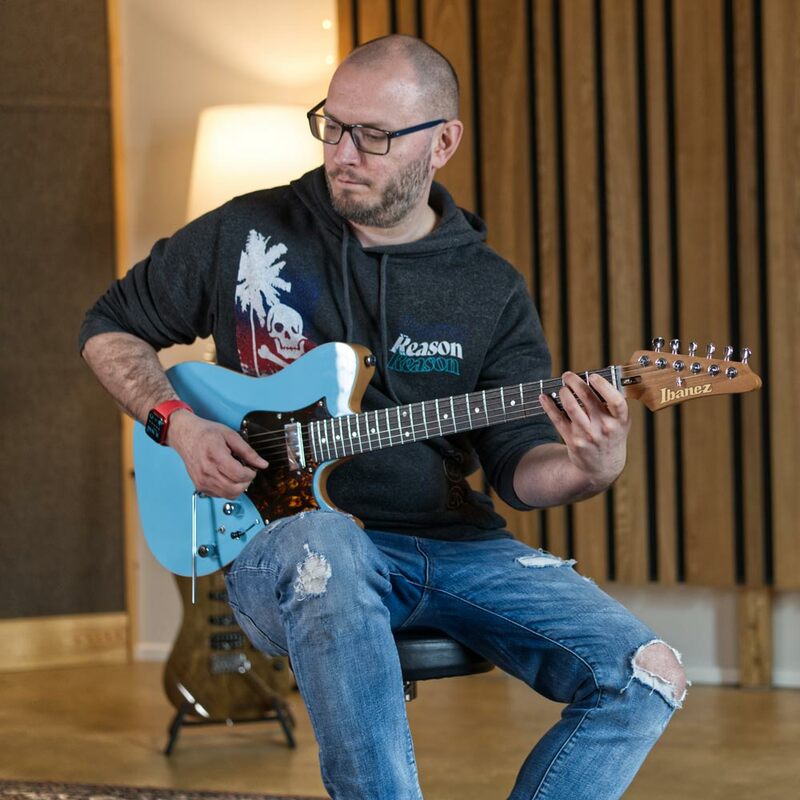 He has conducted masterclasses and played all over the world giving him acclaim that means he can count Dweezil Zappa, John Petrucci, Brett Garsed, Greg Howe, Andy Timmons and Tim Miller amongst his many fans. Tom currently plays with and on the albums of some of the best fusion musicians in the world, releasing the highly acclaimed 'Elba Triangle' album in early 2017 with Virgil Donati, Alex Argento, Marco Sfogli and Allesandro Benvenutti. He has many projects in the works including lots of studio and live work with his partner in crime, Martin Miller. His highly anticipated debut album is in the works and he has produced a huge catalogue of some of the most succesful tuition material for the modern fusion genre. He is incredibly proud to play his signature TQM1 guitar exclusively.